The highly anticipated PAVRO / VMPC annual conference is fast approaching. 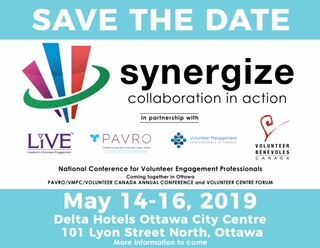 The conference is being held in Ottawa on May 15th – 16th in partnership with Volunteer Canada. This year with Collaboration in Action as the main theme, the event will also bring together Volunteer Centres from across the country. They will gather for their Leadership Forum on May 14th -15th at the same venue. Over the years, with sponsorship support from our AVAs, we are able help keep our registration fees affordable for our all members. Please discuss with your board and advise us as soon as feasible regarding your decision. Every donation will support the development of our volunteer engagement professionals at this event. Thank you for considering this request. 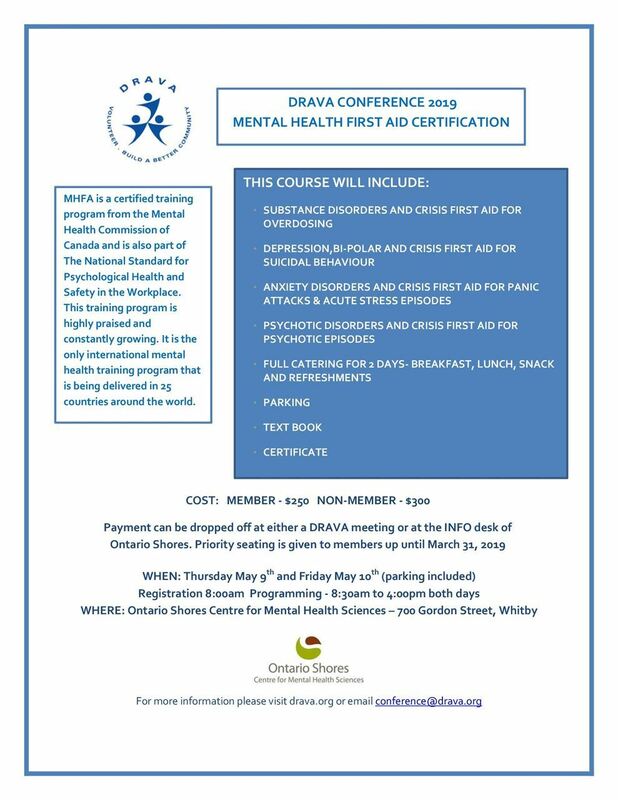 Cheques can be mailed to PAVRO mailing address: 58 Steamer Drive, Whitby, ON L1N 9X3. Please note Conference Coffee Break Sponsorship in memo line.